They are used in the case of pain of the knee joint, instability, arthritis, after joint operations and in all cases where it is needed to stabilize the knee. 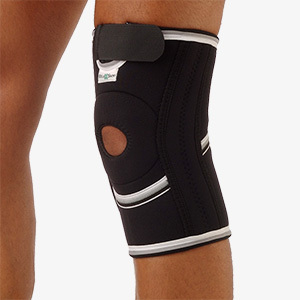 Knee guard with two lateral flexible strips for better stability. Neoprene 5 mm. 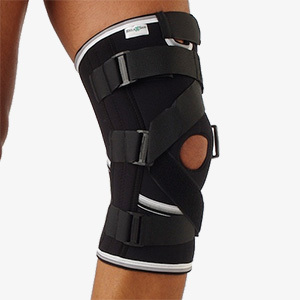 Knee guard with cross Velcro fastener for more stability. Neoprene 5 mm. 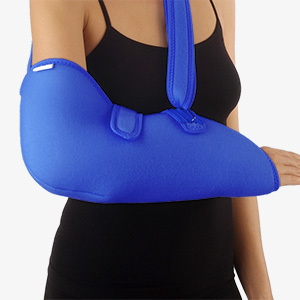 Arm support in order to immobilize the shoulder and to avoid abduction and rotation.